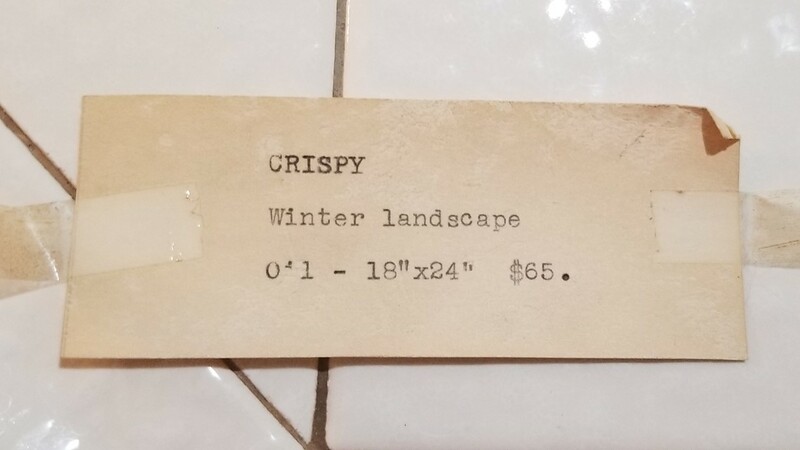 This price tag was found stuck to the back of the painting. 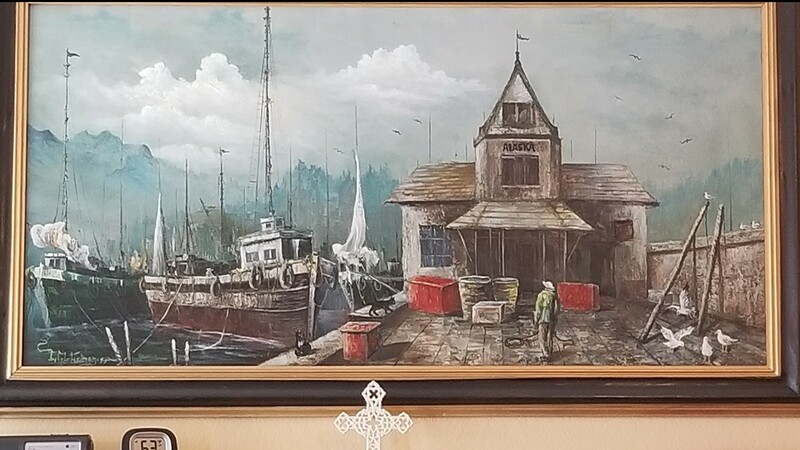 It originally sold for $65. 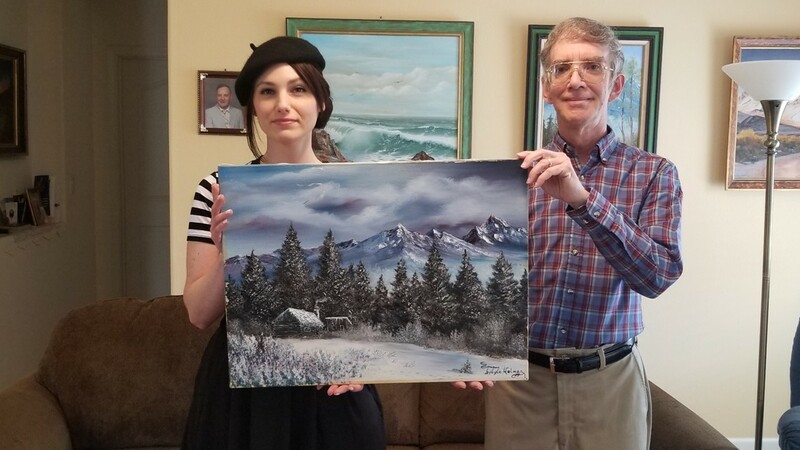 Nikki holds a painting she has been trying to return to the artist's family. 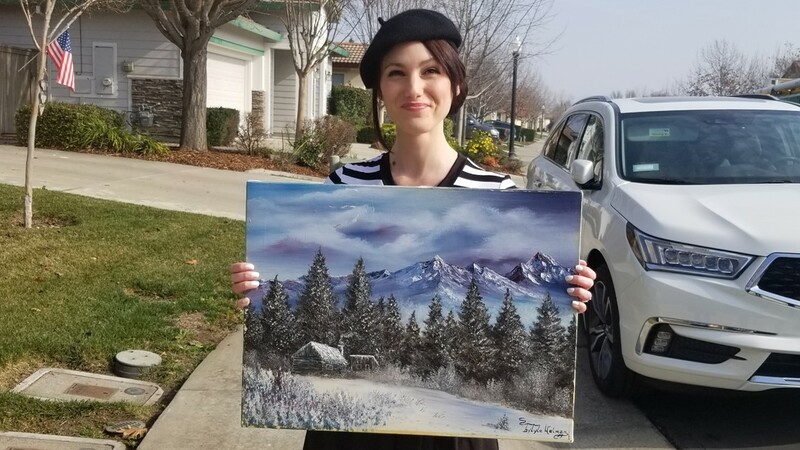 She said the painting has been with her longer than she can remember. 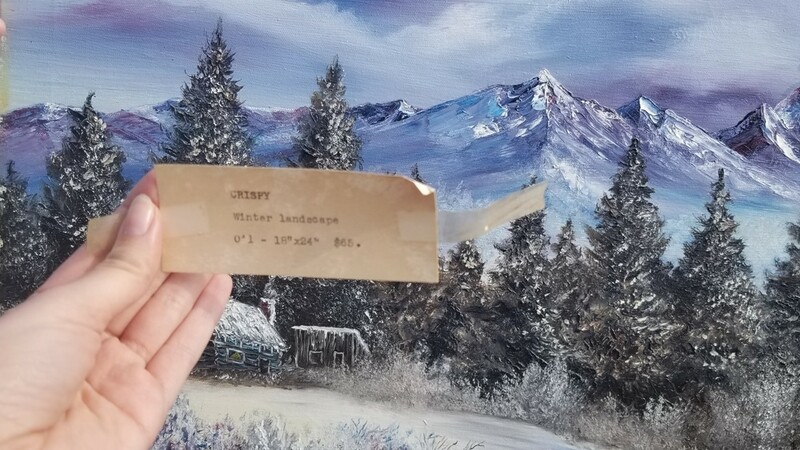 A price tag was found on the back of the painting when Nikkie took the frame off. 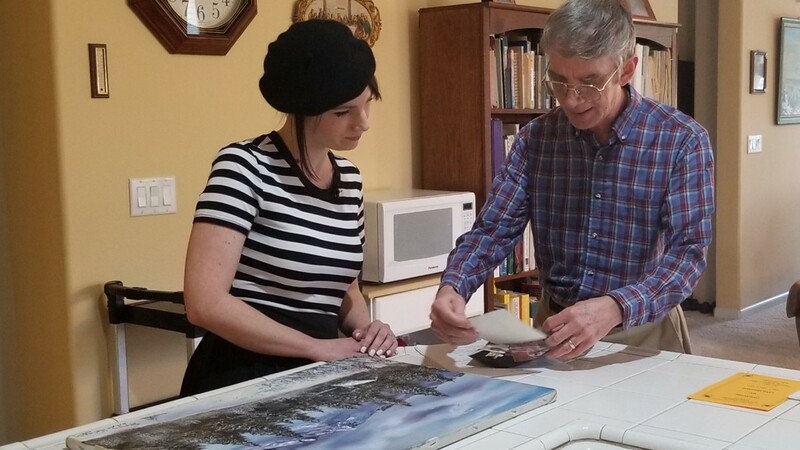 The painting is described as "Winter Landscape" entitled "Crispy"
Lyle's son, Jerry, shows Nikki pictures of his father and other works he painted. 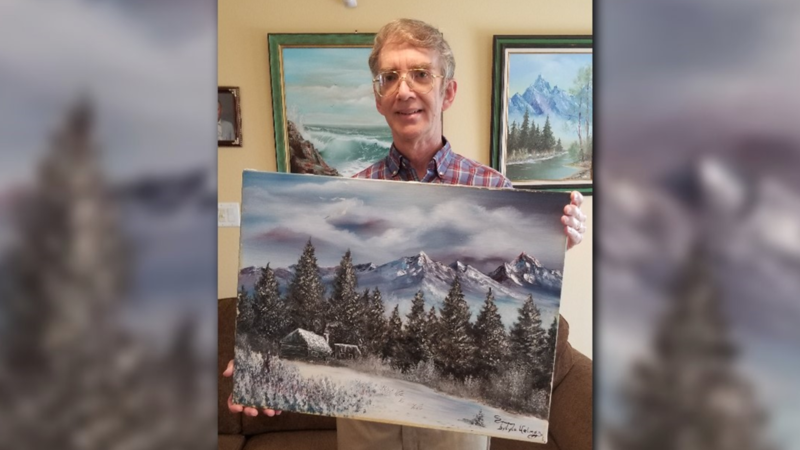 Thanks to the help of social media, Nikki was able to help Lyle's painting come home to his son. 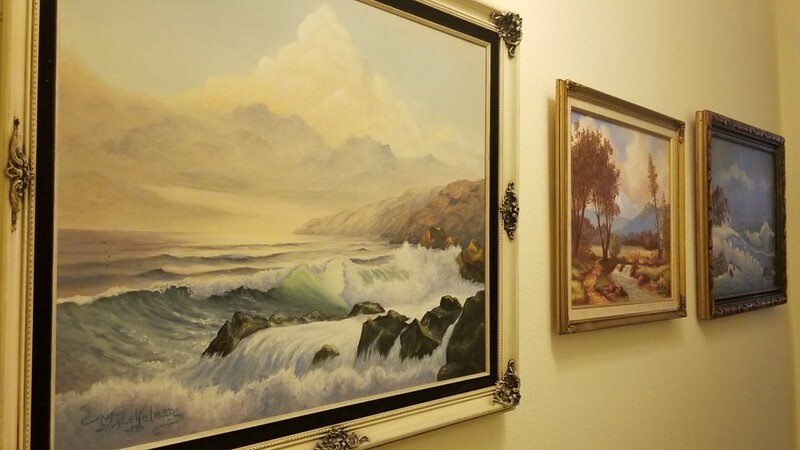 More of Lyle Helman's paintings don the walls of his son's home. 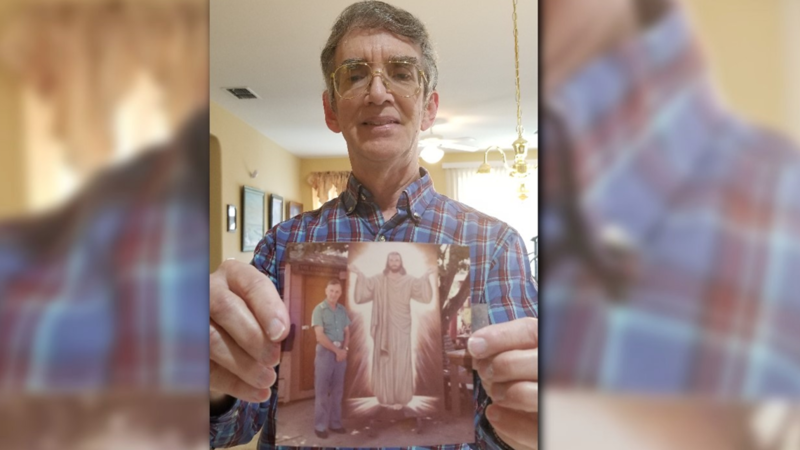 Jerry Helman holds a picture of his father, Lyle, standing next to one of his paintings. 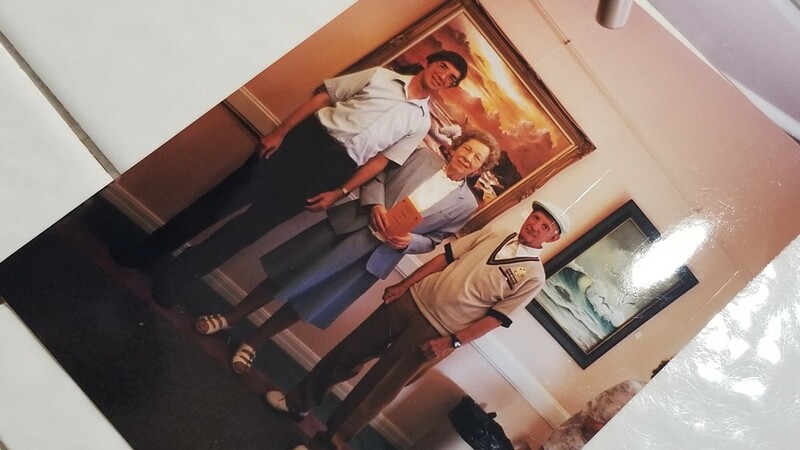 A photograph shows Jerry with his parents, including his artist father, Lyle Helman, at one of his father's art shows in 1999. 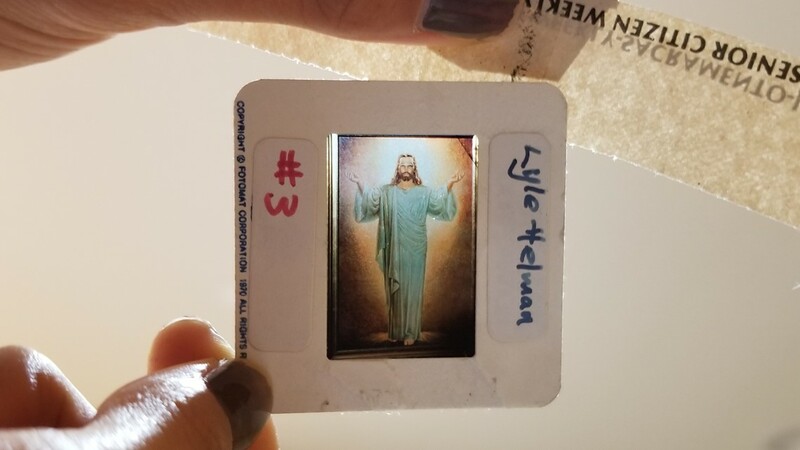 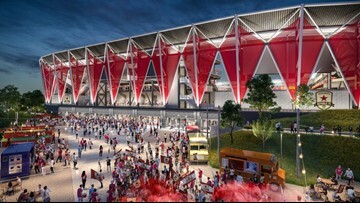 A slide shows another piece of art painted by Lyle Helman. 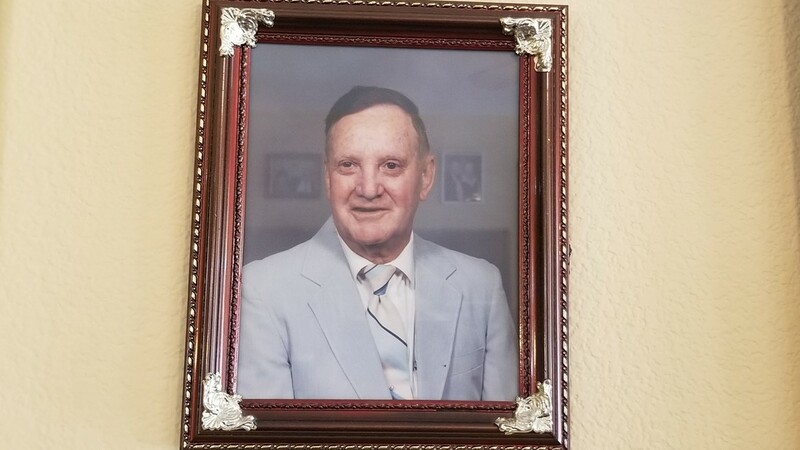 A picture of Jerry's father, Lyle, hangs in his home. 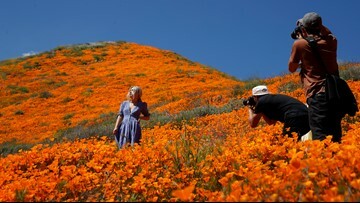 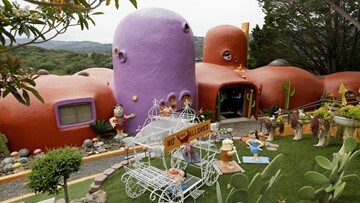 Nearly two decades after his father's passing, Jerry hold's one of Lyle Herman's works of art. 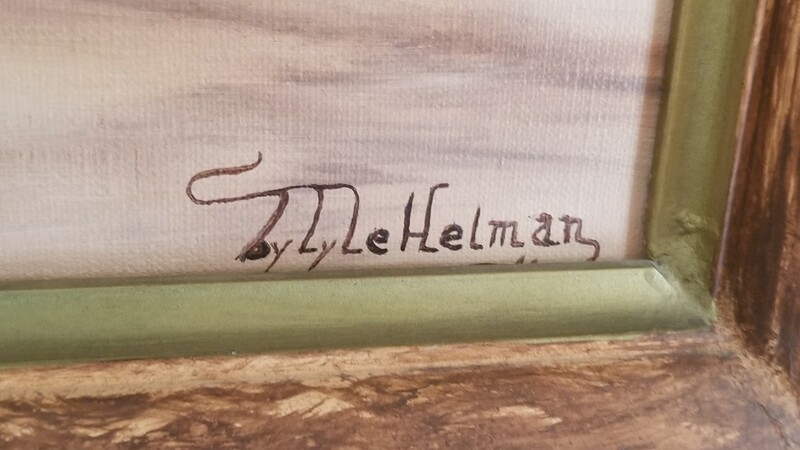 Lyle Helman's signature appears on another piece of artwork hanging in his son's home. Another piece of Lyle's artwork hangs above his son's television.